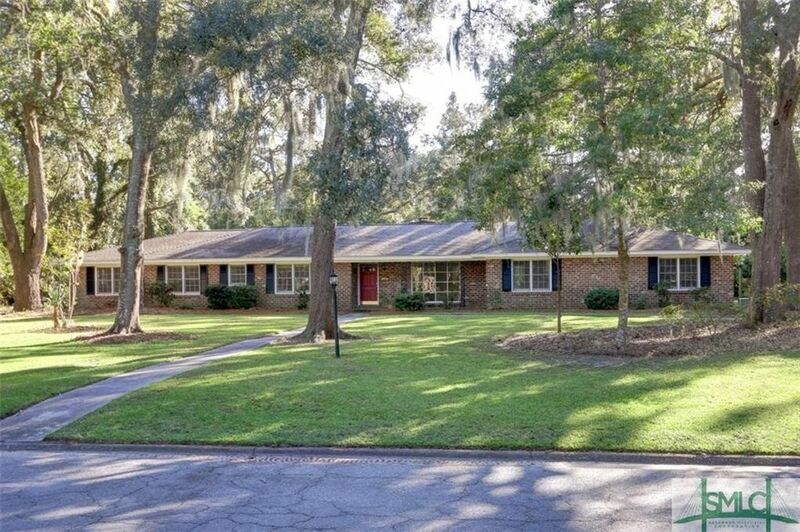 Spacious/updated Savannah gray brick one level. Hardwood floors. 4 BR + 3.5 Baths. Open kitchen updated new cabinets, double wall oven, gas GE monogram cook-top-open to family room w/fireplace open to screen porch. Large vaulted ceiling porch with slate floor. Updated master Bath w/walk-in shower and double walk-in closets. Side entry garage with large utility room Hugh lot! Most beautiful street in Wilmington Park. HOA offers, tennis, playground, deep water dock with gated community area and optional pool membership. Directions: Wilmington Island Rd to Winchester, house on right.